Wes Adams is an Associate within the Investment Management Division at Goldman Sachs. As a member of the GSAM Insurance Asset Management team, he is responsible for new business development and ongoing client relationship management. 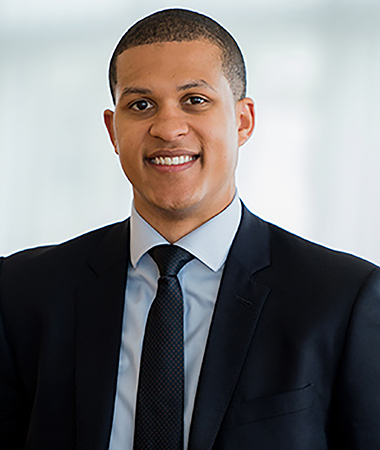 Beyond his day-to-day responsibilities, he is actively involved in the firm’s diversity, campus recruiting, and analyst training initiatives. He graduated from Howard University in 2014 with a B.B.A. in Finance. Wes has been a GOSO volunteer since 2016 and is currently a mentor in the GOSOMen program.